Krept and Konan hold a Guiness World Record for the highest charting UK album by an unsigned act. 10. 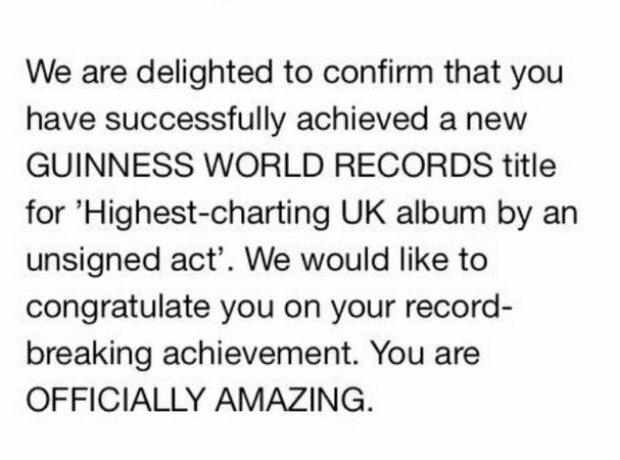 Krept and Konan hold a Guiness World Record for the highest charting UK album by an unsigned act.